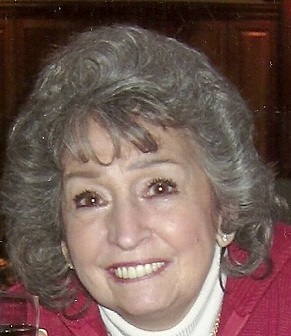 FULTON, NY – Ann Lorraine (Anable) Ward passed away on Sunday June 1, 2014, from complications of Alzheimer’s Disease. She was born in Ogdensburg, NY, on January 11, 1934, to Helen and John Anable. Ann attended Ogdensburg Free Academy and Nursing School. She married Newton Ward on April 11, 1969. Although Ann had several jobs in early adulthood, she is most remembered for providing childcare for many of Fulton’s children for more than a 30-year span. She was known as the woman who lived in the corner house that always created an opening for a child in need of daycare. Many of those children, who now have children of their own, fondly talk about Ann and the memories she created such as swimming lessons, walks to the park, feeding the squirrels and Santa’s arrival at Christmas. Ann was a lady of strict routines. You knew where she was and what she was doing at any time and any day. You could count on her being dressed, makeup on and every hair in place to start her day by 7 a.m. The evening routine included a restful soaking bath, followed by a bowl of popcorn and cocktail by 8:30 p.m.
Every Saturday consisted of shopping excursions which included visits to Cortini’s, Prowda’s, The Classic Shop, The Princess Shop, JC Penny’s, Harris’s and Woolworth’s … every place, every Saturday. This was followed by a stop at the meat market and the grocery store. She would then rush home to go out to dinner with Newt. One of Ann’s greatest pleasures was cooking and making sure there was a great meal on the table every night. Each family member had their favorite meal however the most loved meal by all was her famous macaroni and cheese, faithfully served every Friday night for 40 years. Unfortunately, Alzheimer’s Disease eventually robbed her and her family of this enjoyment. 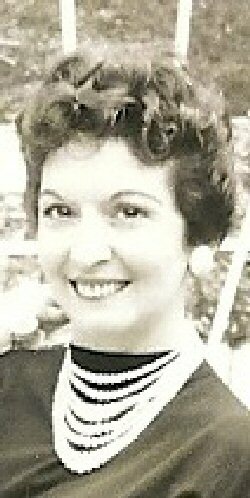 Ann was predeceased by her parents; her brothers, Thomas, James and Richard Anable; her sister, Winifred Mayes; and most recently her husband, Newt Ward, who passed on March 8 of this year. She is survived by her daughters, Tammy (Blake) Bednarz and Shelly (Randy) Allen; step-children, Debbie (Richard Campbell) Ely, Connie Ward, Steve (Sue) Ward and Daniel (Sandy) Shue; sister, Paula (Harvey) Grace; brothers, Robert (Jean) Anabel and William Anabel; sister-in-law, Rhoda Brown. She is also survived by her grandchildren, Mathew, Brittney, Jocelyn, Christina, Jessica, Valentina, Kimberly, Courtney, Anna and Blake; as well as several nieces and nephews. Even though Alzheimer’s Disease denied her of her independence, she retained her strong wit and sense of humor. Clearly recognizing her cognitive decline, she fought hard to camouflage her disease from family and friends through creative reasoning and loving manipulation. Calling hours will be held 4 to 7 p.m. Tuesday at Foster Funeral Home, 910 Fay St., Fulton. Funeral services will be conducted at 11 a.m. Wednesday at Foster Funeral Home, Fulton. Contributions in memory of Mrs. Ward may be made to the Alzheimer’s Association, Central New York Chapter, 441 W. Kirkpatrick Street, Syracuse, NY 13204.